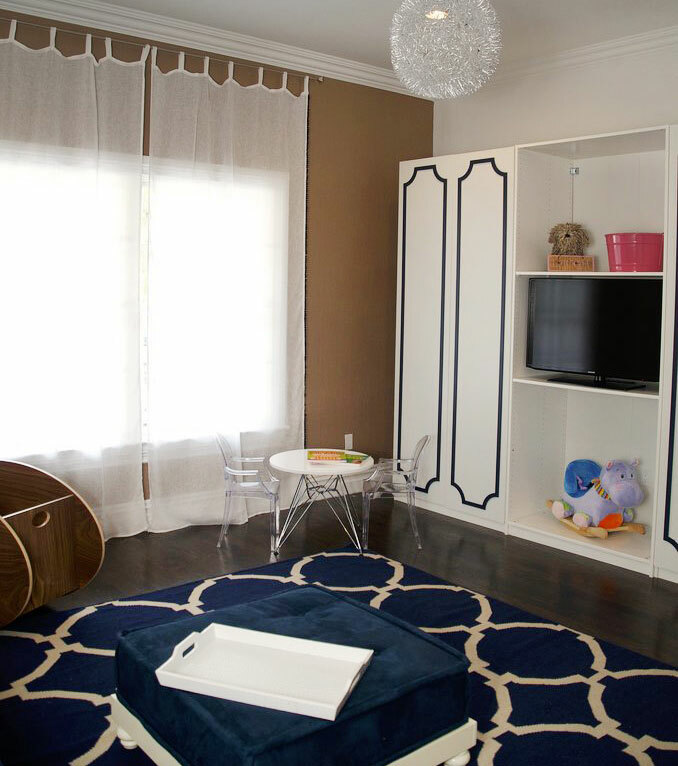 We were excited to be a part of Kevin & Danielle Jonas's playroom designed by Nessalee Baby. Danielle chose our Pom Pom trim Curtain Panels in Navy for the windows! Kevin and Danielle Jonas daughter just a baby, but shes already got a gorgeous room to play in! We wanted a fun and creative room where she can play around and make a mess, It was important that is was a separate room next to the kitchen and not in the basement, so she is close to the family, Kevin says. As for the inspiration behind the custom-designed playroom, Antonelli says it was all about combining fashion with function. Functionally fashionable was the goal, the designer shares. Kevin and Danielle have a modern sense of style that I infused into the space and made sure everything in it would take them for many years. Its glam, but not too girlie in case there are more Jonas babies in their future. Both Danielle and Kevin loved the idea of navy as opposed to traditional playroom colors or pinks, Antonelli shares. They knew exactly what they wanted as far as functionality. It was important to have couch seating, play seating, book storage, toy storage, additional open space for future toys and a changing table to use now. In terms of favorite elements of the room, Vanessa says its all about the details. â€œI love the little details about this room. she says. The tiny pom poms on the drapes are just darling! The bird wallpaper and textured bark wallpaper tie back to the tree bookcase and the rooms subtle theme. The way the navy overlays on the closet doors blend so well with the changing tableâ€™s style completes the look. Plus, who can resist a teeny tiny ghost chair? 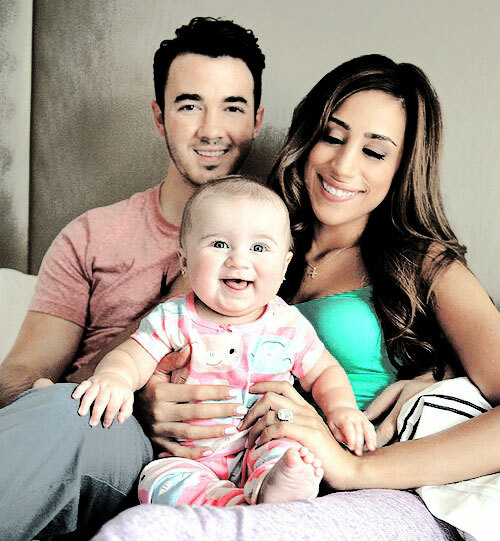 Kevin & Danielle with baby Alena Rose.